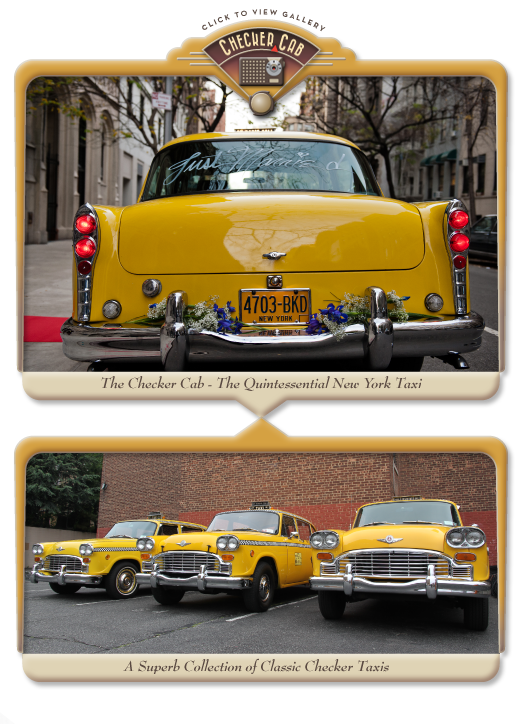 New York Checker .com – checker cab rentals and car rentals for weddings, photo shoots, ads, events, promotions, launches, film, tv, movies. 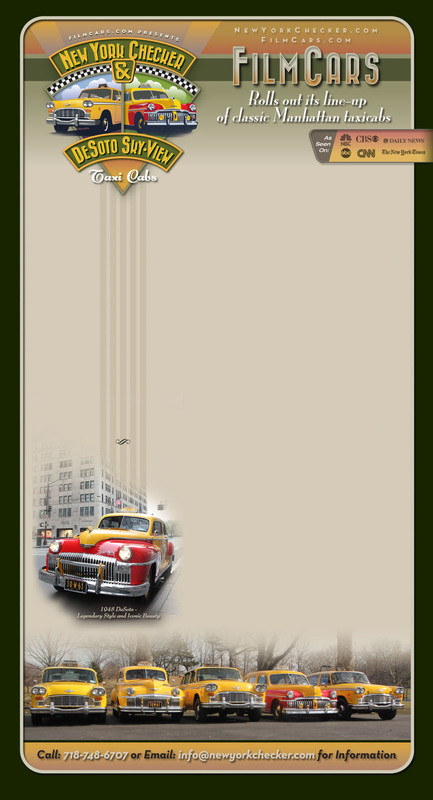 Vintage car rental, picture cars. 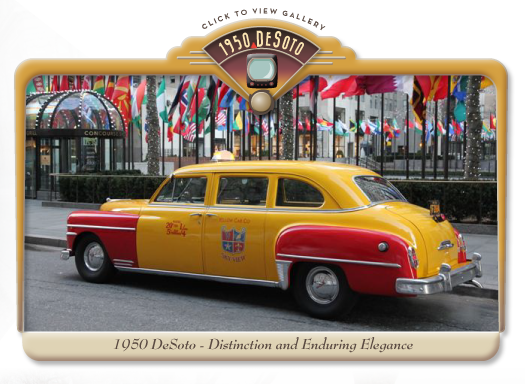 Automobile props, film cars, checker taxi rental, vintage taxi nyc, DeSoto SkyView cabs. Providing since 1983 a selection of vintage automobiles to the film community and for private hire, FilmCars is proud to present a unique grouping of legendary taxicabs that evoke a timeless image of New York City.